At Universal Glass and Door we take security very seriously for your safety , that is why we have a whole separate division specializing only in security glass and security products, our ballistic security systems division is also available 24 hours a day for emergencies. Please call us and schedule an appt with one of our ballistic security system technicians to see what we could do for you. Based out of Metropolitan, NY Region and providing service to all 50 states, Ballistic Security Systems has been a leading company in providing & installing safety & security products. We are here to help " Make your world a safer place ." We want to make your business a safe place for you and your employees. 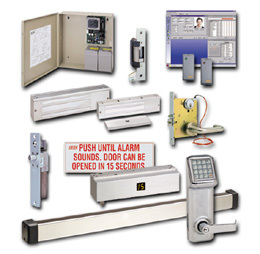 We believe that you should not have to compromise that safety with unattractive devices. When it comes to protective systems,Ballistic Security Systems has you covered. Whether its wall armor, doors, package receivers, transaction windows or ballistic products, we have it. All our systems are individually designed and fabricated to meet the unique requirements and specifications of your business. Ballistic Security Systems uses only the highest quality products so that service expenses for it are little to none so as not to waste your time with costly upkeep. To date not one of our customers has had even a simple act of violence at their business since install. That's a 100% success rate! 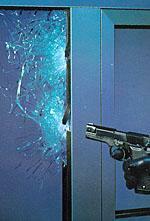 Please Note: Our company, Installs bullet proof glass and security systems, we do not sell any ballistic products. Installation of bullet resistant glass in armored vehicles. Our typical day consists of helping various size clients better secure and maintain their systems. Our customers range in size from sole proprietor to very large organizations. You've tried the rest,now have it done by the best! Emergency broken glass boards ups and repair service serving NY and tri-state area 24 hours a day!